I just surfaced from a full day of finally succumbing to the sickness that is going around. I think jet lag, lack of sleep and the crud all converged at once because they are jerks. After drugging myself into a stupor last night I got my first complete full nights sleep (if you don't count waking up at 5am, but considering I went to bed at 7pm it all works out) since I returned to the US. I finally feel human again, which is good because the BF and I are in La Jolla and the sun is out and the door is open. I better enjoy this lovely weather in the middle of January while it lasts. The highlight of this past weekend was of course celebrating the 4th (and final) Christmas with the family in LA. We had two days of fabulous food, drink and presents. I scored a new drive for my Mac Air, which means I have a lot of music to upload. This has officially been the longest Christmas I have experienced and it has been fun, but glad it's over. Next up, house hunting! 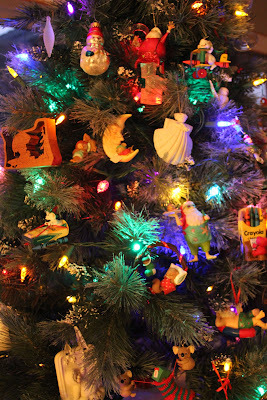 My parents left up the tree for me. I am sure they are super excited to take it down now. 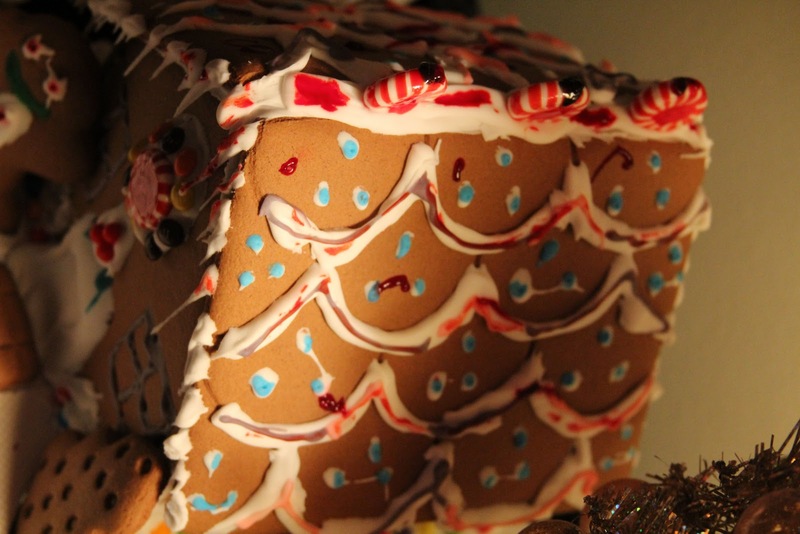 My nieces and nephew worked hard on their Gingerbread houses. 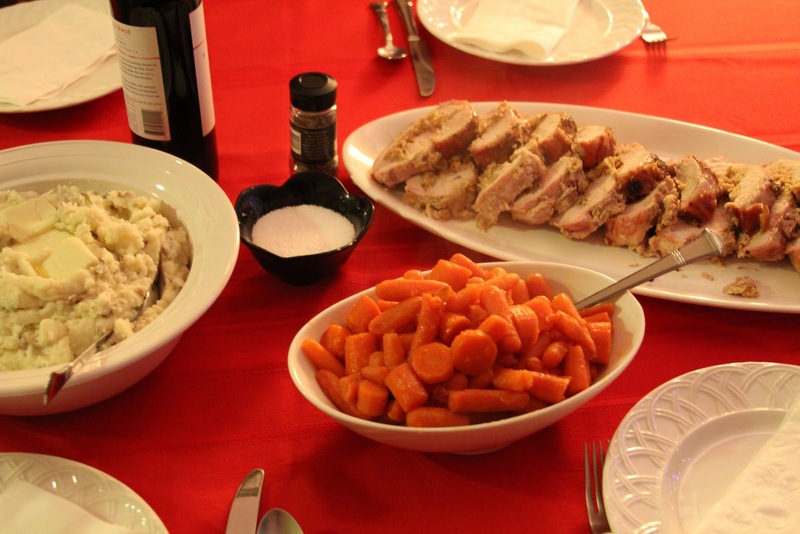 Pork loin, gingered carrots and mashed potatoes for dinner #1. Yum.